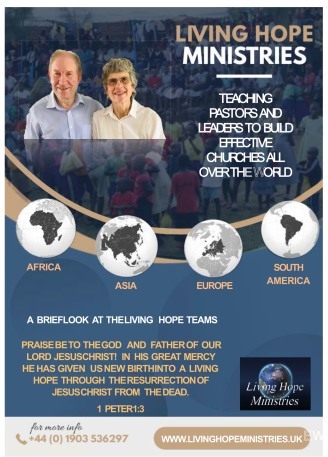 Hebrews 3 Bible Study: Living Hope Ministries. This chapter begins by comparing Jesus and Moses. It then enters into strong warnings regarding unbelief and resisting God's will. There are strong statements, exhorting people to avoid hardness of heart and getting into the place of the Israelites of old, which resulted in 40 years of living and dying in the wilderness, instead of entering the Promised Land! We have been given a high calling. Our task is not confined to the things of this earth but we are preparing for an eternal sphere, where we will be with Christ forever. Our lives are to be wholly focused on our Lord Jesus Christ! The ministry of Moses after his call, was faithful. After a difficult start, he obeyed God. He went to Pharaoh for the release of God's people from slavery. He led the people out of Egypt and took them through the Red Sea. He passed on to them, the 10 commandments, which gave a structure to help them honour God and care for each other and he built a tabernacle according to God's instruction. This was faithful work. God's people were often rebellious and resistant to his leadership but he persevered. His work, however, could not achieve what Jesus achieved. Therefore, we honour and respect people like Moses but we build in a way which is committed to Jesus, our Lord and our God. Jesus is described as the apostle and high priest. Apostle means one who is sent and Jesus was sent by the Father to achieve salvation for all mankind who will believe in him. He is our high priest. He stands in the gap for us. He intercedes for us and he sacrificed himself for us when he died on the cross. In his life, ministry, teaching and death, Jesus built the foundation for bringing us to God and, today, the Holy Spirit is continuing to build the Church, which is the body of Christ. Jesus was faithful to the Father and totally obedient to the Father's will and, so, is worthy of all praise, worship and honour from us! Hard hearts, rebellious hearts and cold hearts, will bring great judgement upon people who show no respect for God’s heart and God’s ways. To be the object of God’s anger and wrath, is a terrible place to occupy! The position of the people of God in the wilderness was not unique to them, because it is still possible for God’s people to be deceived and to lose sight of the glorious salvation that Jesus has delivered for us. The writer to the Hebrews urges us to watch our hearts and to encourage one another to keep walking in the truth of God - and not to fall into unbelief and rejection of God. For the people in Moses’ time, their rejection and unbelief meant that they did not enter the Promised Land. We need to be very wise not to test God, because we so easily fall into sin if we harbour resentment and bitterness against Him. What is our heavenly calling and where should our focus be as believers? How do we benefit from the apostolic and priestly ministry of Jesus? Do we understand the very real risk of being deceived by sin, which could lead to a hardening of our hearts? How can we avoid falling into unbelief and turning away from God? Jesus and Moses were faithful to God. Are our lives a living testimony of such faithfulness?